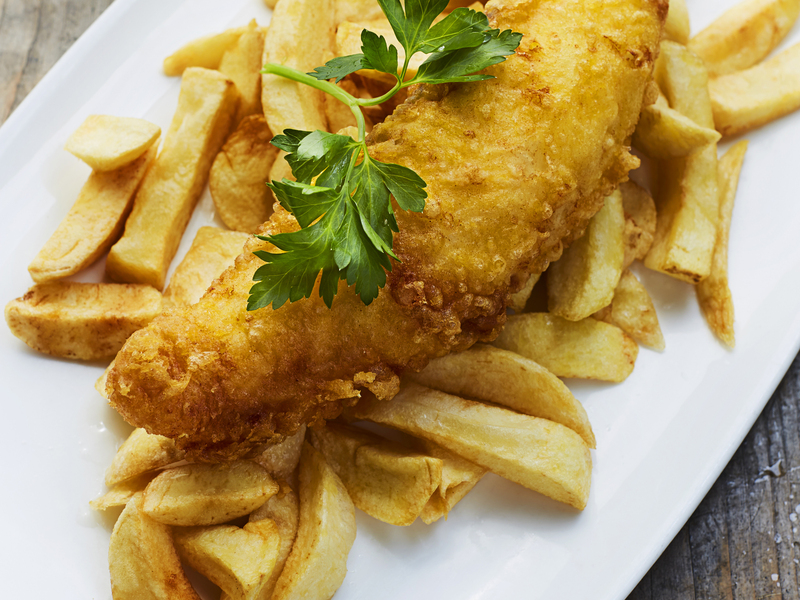 Rare is a dish as comforting as a plate of fish and chips. When done right, that irresistible mixture of steamy, crispy fried fish and chunky potatoes, humming with salt and vinegar, is up there with London’s best dishes. 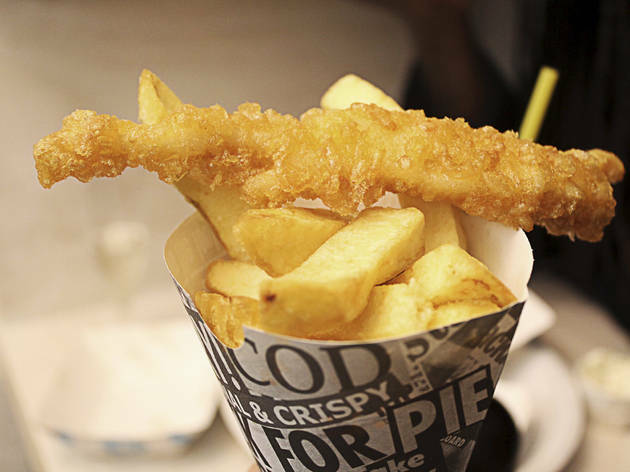 There’s a chippie on every other street in London, so we’ve rounded up our favourite spots – from anachronistic British fish bars to hip Japanese-influenced joints. 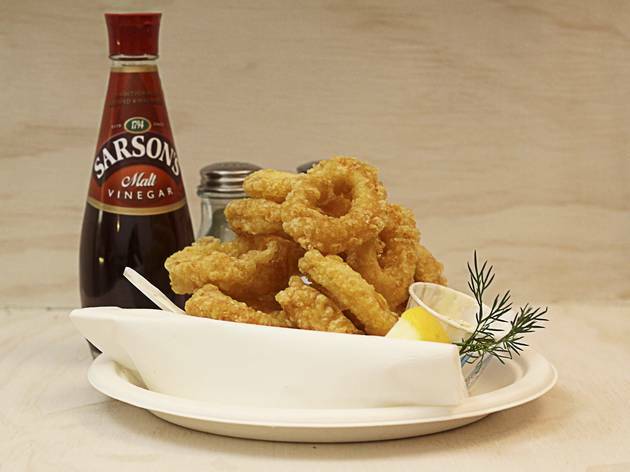 Hell, there’s good reason some even appear on our rundown of London’s best cheap eats. Some things just never go out of fashion. RECOMMENDED: Dab hand at frying? Stock up with our list of London’s best fishmongers. Having moved from its Berwick Street pop-up pitch, this punningly named chippy is now riding high in Notting Hill. Nautical shabby-chic is the style here, and fish from Cornwall gets the full treatment – check out the batter laced with BrewDog beer. Elsewhere, pickled eggs, curry sauce and free ‘scraps’ will please the purists. 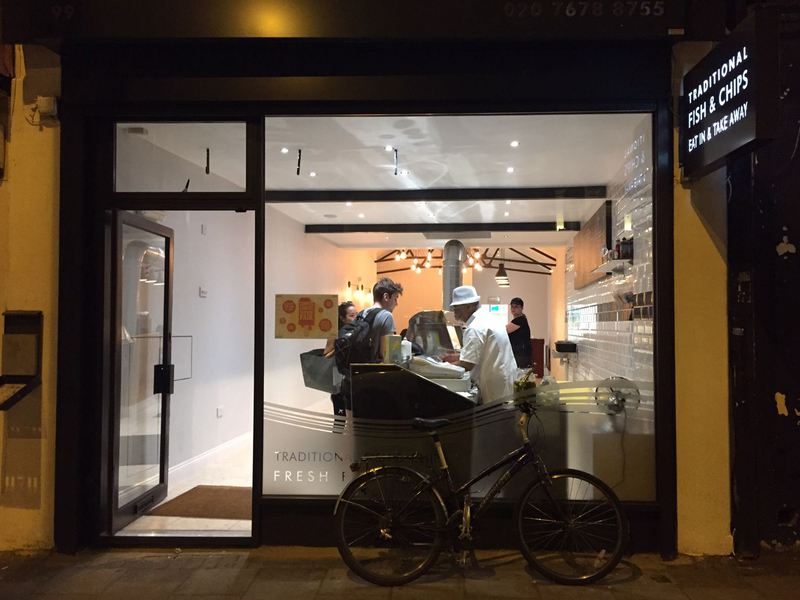 ‘Gluten-free fish and chips on Mondays’ is a sure sign that this breathtakingly spotless Brixton chippy is in tune with the times. 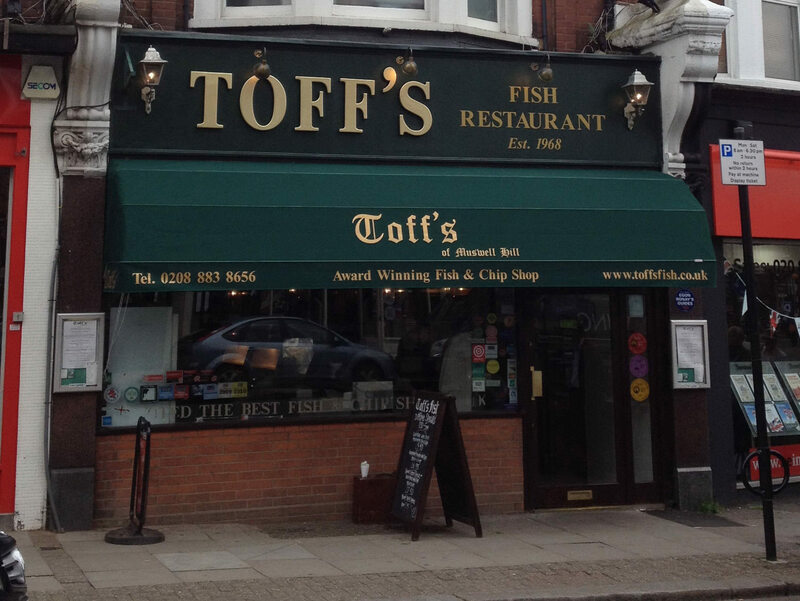 Inside, it positively gleams, and the food is top drawer: fish is delicately battered, chips are pleasingly thick and fluffy, tartare sauce is extra zingy. Delightful staff treat everyone like lifelong friends. 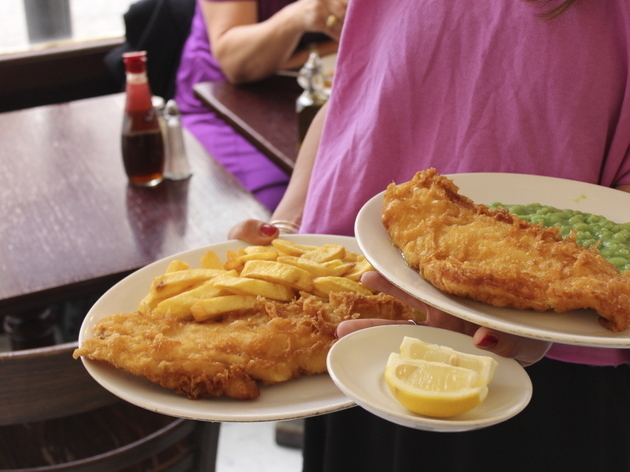 In 2014, the Golden Hind celebrated 100 years of service as a trusty purveyor of fish and chips to the residents of Marylebone. 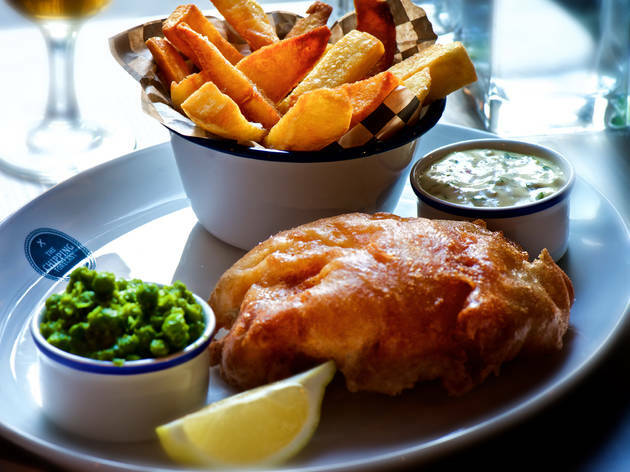 Every detail is spot on here, from the grease-free batter and chunky chips to the well-seasoned mushy peas. There’s beers and fizz too, if you want a long lunch. With daily supplies of fish from sustainable sources, potatoes from the Fens and frying oil changed up to eight times a week, Soho’s Golden Union can certainly talk the talk. 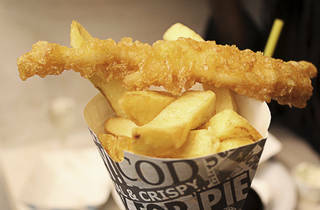 But it can also walk the walk, with spot-on renditions of trad fish and chips. They even make their own pies and fishcakes. 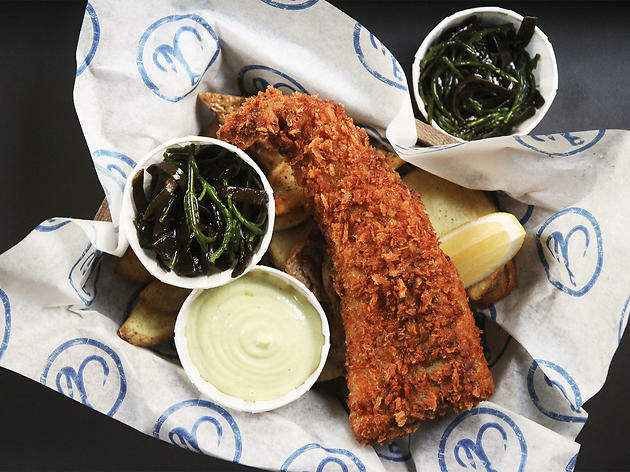 Panko-crusted cod, seaweed-salted chips, wasabi tempura, pickled ginger miso… welcome to Hook’s sustainable ‘new school’ fish and chips. 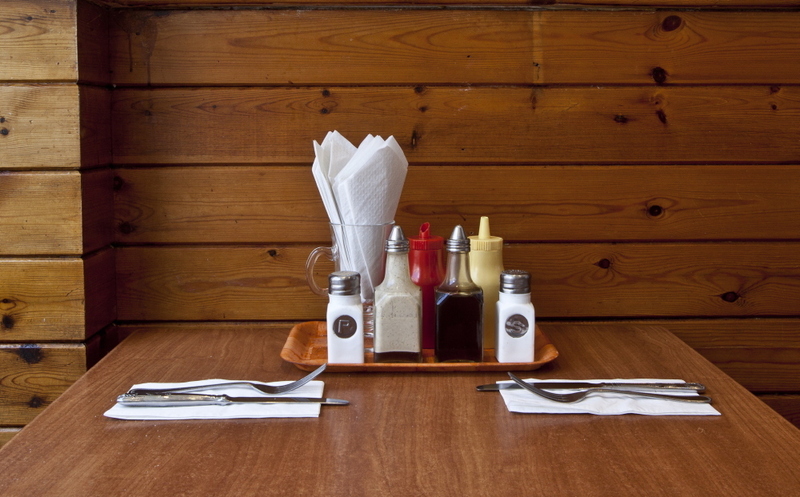 The menu changes daily, depending on the catch from the Cornish day boats, but innovation rules – their homemade chipotle ketchup knocks spots off the usual curry sauce. Yep, you'll be hooked in no time. 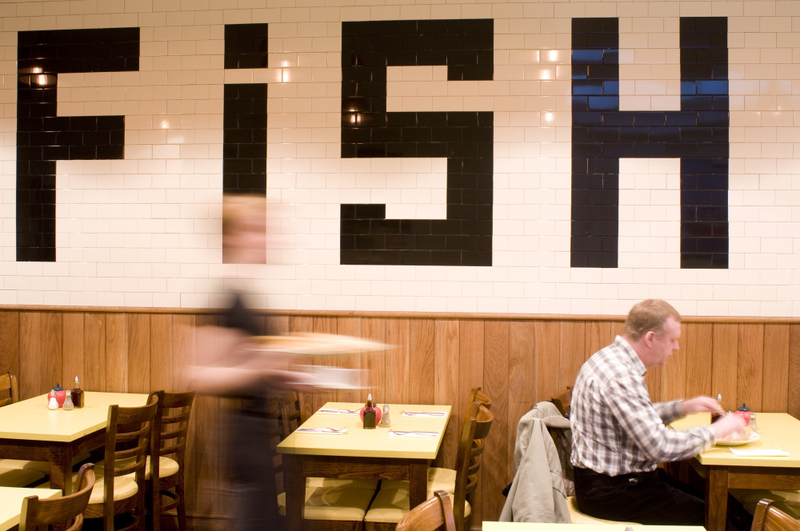 Perched at the zenith of London-based fish and chippery, scrubbed-up Kerbisher & Malt goes that extra mile for its loyal customers. 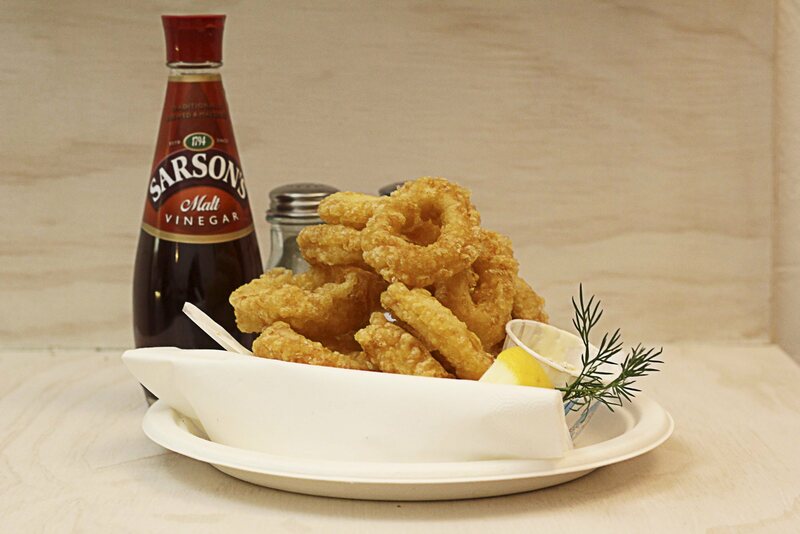 High-quality fillets are freshly dunked in floaty-light batter, chips are double-fried, the rich tartare sauce is made in-house, and the onion rings are ‘pickled’, adding an appealing vinegar tang. A cute fit for newly gentrified Abbeville Road, this branch of upmarket Kerbisher & Malt may look knowingly retro but its food is bang on-trend. Sustainable coley is fried in matzo meal, chips are double-cooked, fennel and dill salad features among the sides, and there’s a decent drinks selection including Meantime beers. 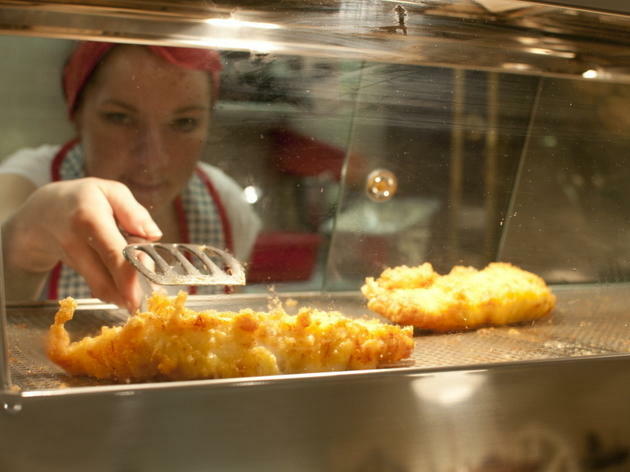 Basic chip-shop batter is off the menu at Nautilus – everything is coated in matzo meal, fried in matzo meal and egg, or grilled. No worries, because this no-frills outfit is renowned for the sheer quality and freshness of its output. Portions are generous, with fish overlapping the plate and just enough room for the chips. Poppies’s pick ’n’ mix assortment of British kitsch (a jukebox, newspaper cuttings, model aeroplanes, wartime memorabilia) make it look like some nostalgic fantasy trip, but there’s nothing airy-fairy about the food. 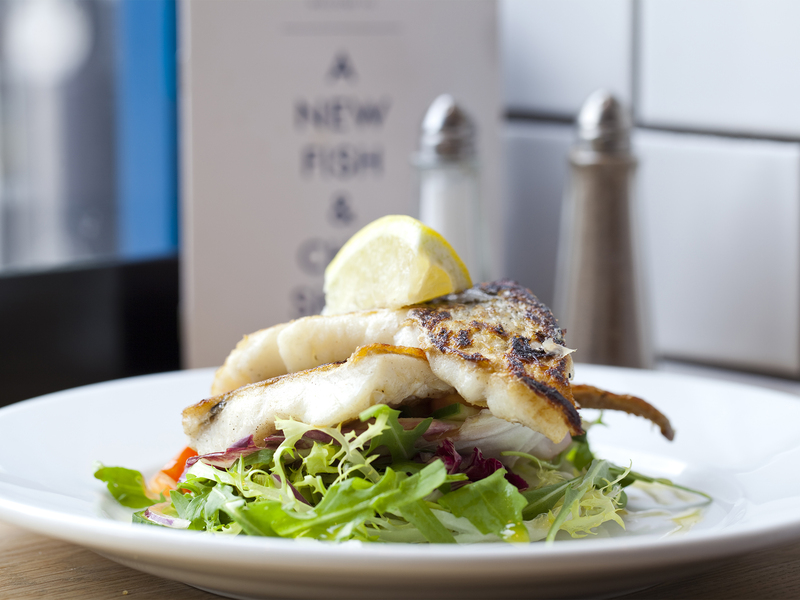 Fish comes from Billingsgate (have it fried or grilled), and the menu encompasses everything from jellied eels to hot seafood platters. An uptown chippy in downtown Hackney, this branch of Sutton & Sons has been jazzed up with saloon-style seating and painted Union Jacks, but nothing beats the food. 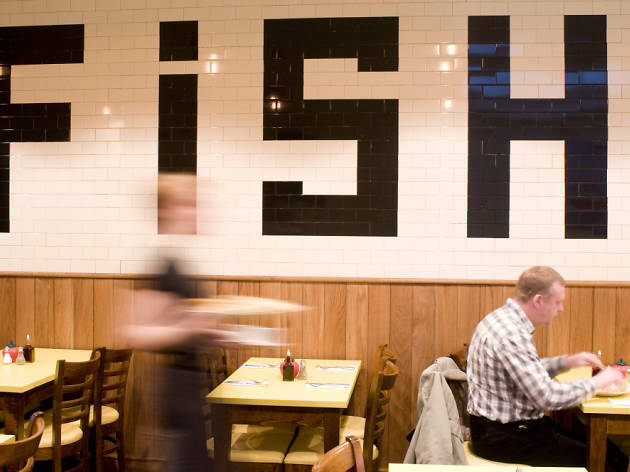 Freshness is guaranteed (the owners are London fishmongers of repute), while details such as a dessert menu and chilled prosecco are bang-on for a hip local crowd. Sutton & Sons are London fishmongers of repute, so freshness is guaranteed at this smart chippy across the road from their Stokey shop. In addition to the usual battered suspects, local foodies are rewarded with Maldon oysters and moules marinière, while Mrs Sutton’s homemade cakes and Hackney-brewed beer are further reasons to be cheerful. 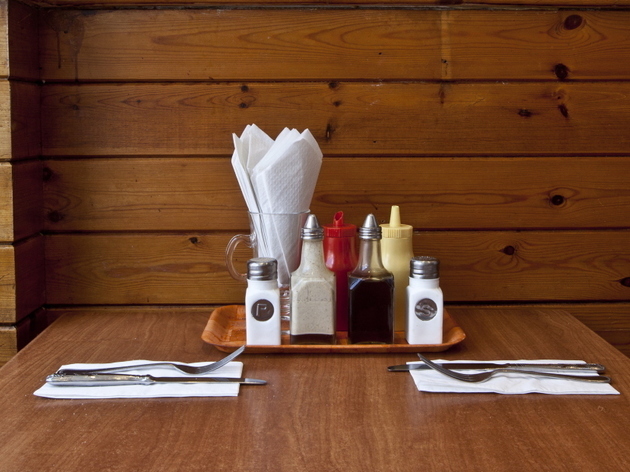 A true one-off, this wood-panelled Muswell Hill chippy bears all the hallmarks of a long-running family business that knows what it’s doing. Not much changes here, although using sustainably sourced fish is a sure sign that Toff’s isn’t out of touch. Everything is cooked to order, and traditional batter is the norm. 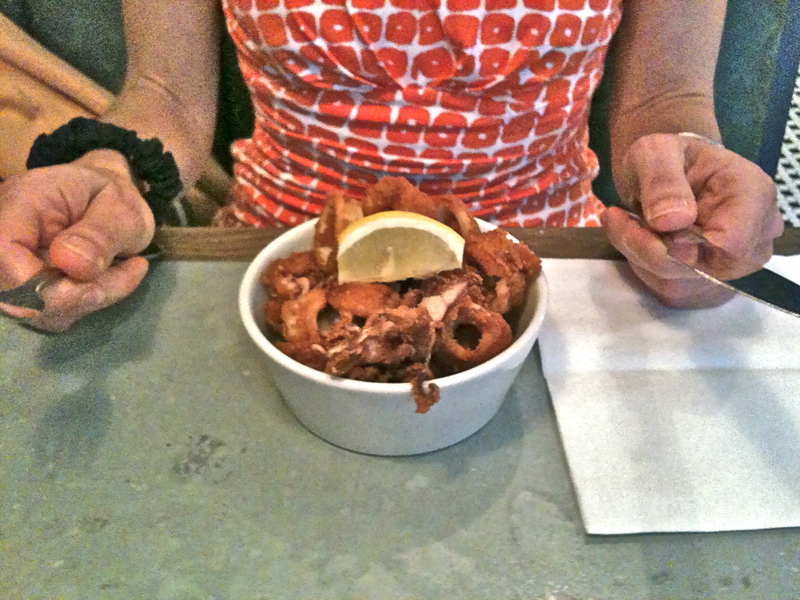 Part traditional chippy, part contemporary seafood restaurant, Victoria Park’s favourite fishy haunt is a minimalist space with a huge close-up of octopus tentacles covering one wall. Eat in from a creative menu that moves from moules marinière to Asian-style sea bream or stick to wrapped-up carry-out portions of the chippy classics.